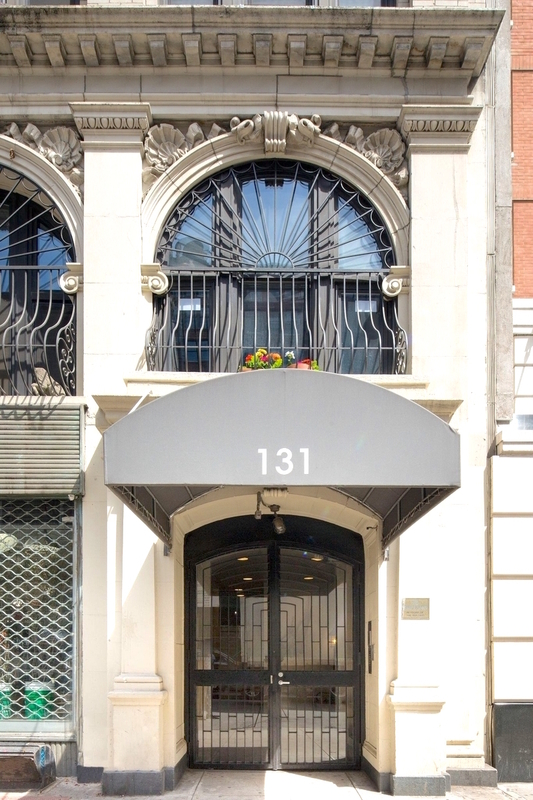 131 West 28th Street is located in Chelsea, Manhattan. Please refer to the attached document for further information. Please complete and sign Purchase Application. Application will not be reviewed if sections are left blank. Please complete and sign Financial Information. Make sure that all amounts match your supporting documents. Verification of Assets & Liabilities listed must be included. Must include all pages of each statement listed. Statements must clearly show the account holders name and redact all but the last 3 digits of the account number. All assets & liabilities must be accounted for if listed. Please complete and sign Purchase Fees Acknowledgement Form. Please complete and sign Credit Report Authorization Form. Must include social security number and U.S. residential address (no P.O. Boxes). Please complete and sign House Rules Acknowledgement Form. Please complete and sign Lead Paint and/or Lead-Based Paint Hazards Disclosure. Must be signed and initialed by all parties (seller, purchaser, and agent(s) if applicable). Please complete and sign Window Guards Notice. Please complete and sign Smoke Detector Affidavit of Compliance. Must be signed by both seller/grantor and purchaser/grantee. Form must be notarized. Please complete and sign Carbon Monoxide Detector Affidavit of Compliance. Must be signed by both seller/grantor and purchaser/grantee. Form must be notarized. Please complete and sign Bed Bug Affidavit. Must be signed by both seller and purchaser. Please complete and sign Sprinkler Disclosure Rider. Must be signed by both seller and purchaser. Please upload Copy of Contract of Sale (including all riders). Must be executed by all parties. Please upload Loan Commitment Letter (Provide only if financing). Must include mortgage payments & interest amount. Please upload Aztech Recognition Agreements (Provide only if financing). Three (3) originals must be provided. No other form will be accepted. Please upload Employment & Salary / Income Verification Letter. Must be on a company letterhead and include salary, length of employment, and supervisor/HR contact details. If self employed please enclose a notarized letter from you C.P.A. Please upload Two (2) Business/Professional Reference Letters. Must be on a company letterhead, signed, dated, and include referee's contact information. (No subordinates or family members can be used). Please upload Two (2) Personal Reference Letters. Must be signed, dated, and include referee's contact information. (No subordinates or family members can be used). Please upload Current Landlord / Managing Agent Reference Letter. Must include monthly rent, length of occupancy, referee's contact information, and be signed & dated. If you currently own your home, please provide proof of ownership and explanation of plans for that residence. Please upload Latest Federal Income Tax Returns. Must Include all schedules & pages, and be signed. Applications submitted after April 15th must include most recent tax return or a copy of your extension and the tax return for the previous year. Please redact all but the last 4 digits of the social security numbers. Please upload W2 forms and/or 1099 forms. Please redact all but the last 4 digits of the social security numbers. Please upload Bank Statement(s) for all Accounts (past two (2) months). Provide all pages of each statement, including blank pages and copies of cleared checks. Please redact all but the last 3 digits of the account number. Please complete and sign Sublet Application. Application will not be reviewed if sections are left blank. Please complete and sign Sublet Fees Acknowledgement Form. Please complete and sign Lead Paint and/or Lead-BasedPaint Hazards Disclosure. Must be signed and initialed by all parties (lessor, lessee, and agent(s) if applicable). Please complete and sign the window guards notice. Please complete and sign Bed Bug Affidavit. Must be signed by both shareholder and subtenant. Please complete and sign Sprinkler Disclosure Rider. Must be signed by both shareholder and subtenant. Please complete and sign Copy of Sublease, including all riders if applicable (Blumberg Form #193 only). Must be executed by all parties. Please upload Employment & Salary / Income Verification Letter. Must be on a company letterhead and include salary, length of employment, and supervisor/HR contact details. If self employed please enclose a notarized letter from your C.P.A. Please upload Two (2) Business/Professional Reference Letters. Must be signed, dated, and include referee's contact information. (No subordinates or family members can be used). Please submit Current Landlord / Managing Agent Reference Letter . Please upload Bank Reference Letter(s). Must be signed, dated and state type of account, amount of deposit in dollars and age of account(s). Please complete and sign W9 Form. Must be completed by the shareholder for the escrow account.